In the age of social media and WebMD, often times I will have a patient who has gained information from all sorts of sources all over the internet. It takes a lot of effort to weed through the information that the patient has “learned” and separate fact from fiction. One of the best and most rewarding parts of my job is educating people. I love how much satisfaction patients get just from talking about their symptoms. Letting them know that there are (gasp) actual societies, associations and organizations dedicated for their issues is often times mind blowing. These organization are made up of people in the medical field and often have peer reviewed journals. Not only are these websites a great place to start for references for patients but they are an excellent resource for practitioners. Today I wanted to share several which I use as professional references, as well as where I direct my patient to go for additional information. 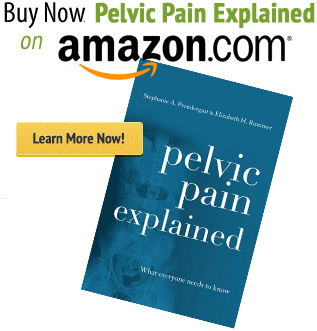 My goal is to provide easy access to a bunch of great organizations which specialize in pelvic dysfunction. This list is far from exhaustive. However, my goal is to encourage both patients and providers to be selective in their online searches and to always start with organizations who have on staff dedicated medical professionals to filter the published information. For patients who have a diagnosis, this can be a great place to look for local support groups and create a trusted network of providers. 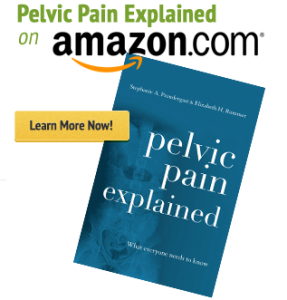 There are also great tips on how to live with a pelvic dysfunction that may not be well known. For instance, the Interstitial Cystitis Association has great websites & apps which make finding a public restroom while traveling easier. The American Society for Reproductive Medicine has a great video on stress and infertility. Finally, a lot of these websites have great ideas on how to communicate with family and friends, including networks and support groups for caregivers. For providers, making sure our patients are accessing appropriate information and receiving adequate support can make a huge difference in the healing process. To supplement what I am having a patient do at home I often give them specific educational videos provided by an organization. These organizations are also great resources to find alternative treatment ideas or to keep an eye out for appropriate clinical trials. It can be challenging to stay abreast of new information, but subscribing to an organization’s listserv is a great starting point. The internet can be an incredibly powerful tool, it just needs to be used responsibly! Thanks this is a great list. I will share it with my pelvic pain support group.